My name’s Andy, I’m Raimi’s dad. We were told there was a “problem” with our baby when we went for her 20 week scan. 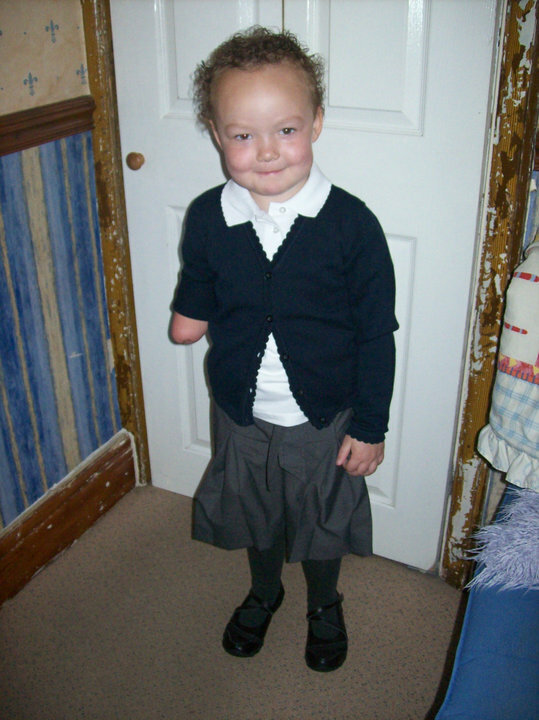 She had lost her right hand to Amniotic Band Syndrome. Given an option of termination or being gifted with a differently abled child, without hesitation we chose the latter. Raimi was born at home and it became immediately obvious that she was a special little one. Like all babies she was all arms and legs. The “Stumpi” as it became known, seemed to be her favoured side, we still think she would have been right handed. As Raimi reached school age, her confidence seemed to take a battering. She found gymnastics difficult, riding a bike seemed out of reach, and her peer group didn’t seem to help. We tried to boost her independence and confidence. In Year 4 of school with the help from family, friends and her favourite teacher, Raimi finally learned to ride a bike. Raimi was given her first prosthetic when she was 6 months old – a static hand that was meant to give her some stability for crawling etc. She didn’t really use it at all. We were in contact with Enablement Services in Bristol throughout Raimi’s development to teenagehood and remain in contact with them even now. They have tried to help develop devices to aid in sports and bike riding and so on, but these things were often cumbersome rather than helpful. The team there have been so supportive though and have never given up trying to find solutions to problems, with plenty of input from Raimi. Most of Raimi’s prosthetics were used to give more of a confidence boost than anything else as their functionality was limited. This lead us to contact Team Unlimbited who provided Raimi with her first taste of what it might be like to have a functional right hand. Soon after, we were put in touch with Open Bionics. Raimi tells me that the Hero Arm makes her feel like she is a whole person. Even though she understands her Stumpi is a superpower, the Hero Arm is a turbo boost to that. She feels like she finally fits in, and not just fits in, but is a cut above. She says when she puts it on and powers it up it makes her smile every time. She has always wanted to try violin and now has been able to. Guitar is more of a possibility, as are the drums, and catching a ball with both hands in football or netball. She feels the sky is now the limit. Raimi says the Hero Arm makes her feel unique and she loves the attention it gets from inquisitive people. Instead of negative attitudes about her limb difference, there’s genuine interest and amazement, sometimes even jealousy. 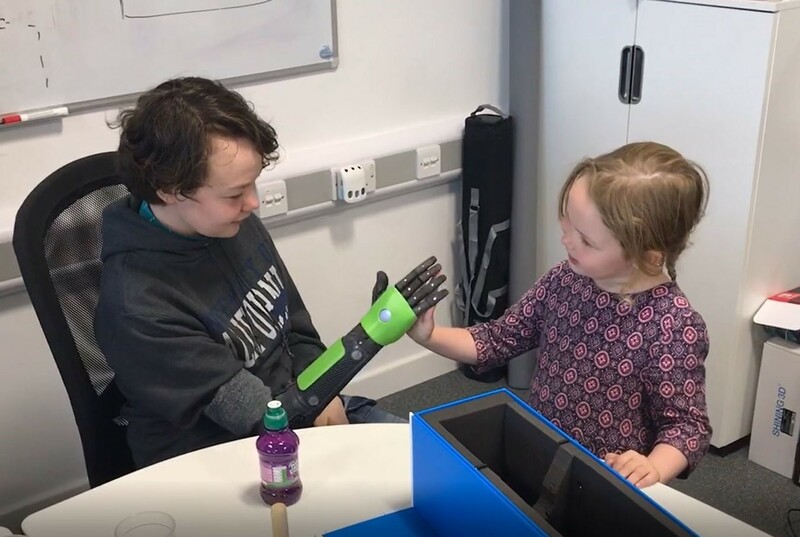 The functionality is fantastic and just being able to gesture to people with either hand is a joyful experience that just makes her giggle. It helps Raimi do so much more than she is capable of with just one hand. Raimi’s confidence and assertiveness has soared. She is constantly trying new things and furthering her independence. Raimi wears a Hero Arm. 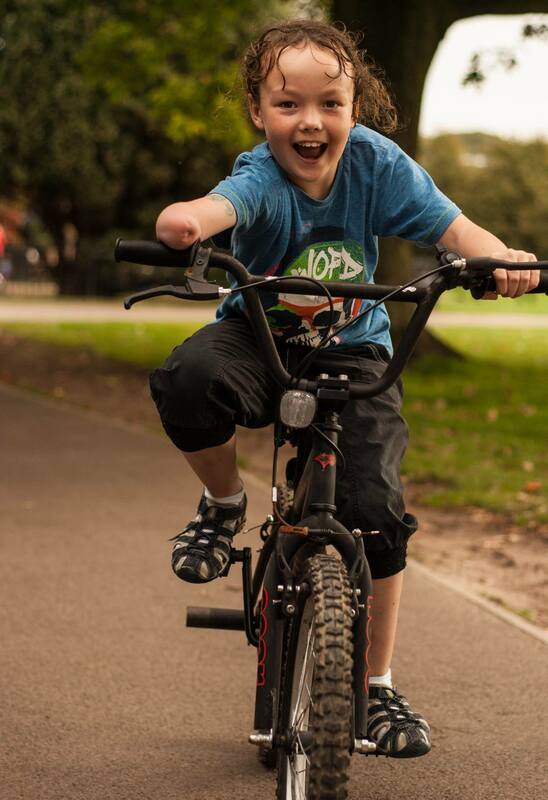 The Hero Arm is the world's most affordable bionic arm, and now available through private prosthetic clinics for people with below-elbow upper limb differences, aged 9 and above.